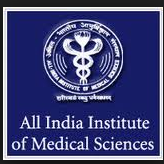 All India Institute of Medical Sciences recently releases AIIMS Jodhpur recruitment 2014 notification for filling 462 Group-C posts in AIIMS. More details regarding AIIMS Jodhpur Group-C posts recruitment 2014 is available in official website i.e www.aiimsjodhpur.edu.in site. AIIMS Jodhpur Group-C recruitment 2014 invites applications from the eligible job seekers for filling 462 Group-C posts in AIIMS Jodhpur. Applicants who possess Matriculation, Diploma, 10+2, ITI, 8th Standard are eligible to apply for Below mentioned jobs in AIIMS Jodhpur. Applicants whose age above 18 years and below 30 years are eligible to apply for Group-C jobs in AIIMS Jodhpur. Applicants who meet all the requirements and who wishes to apply shall read the official notification carefully. Interested and eligible job seekers who wishes to apply for Latest govt jobs in Rajasthan i.e AIIMS Jodhpur Group-C posts shall pay the below mentioned fee and download the application format from official website i.e www.aiimsjodhpur.edu.in site and duly fill the application in all respects and send the application along with required enclosures to the below mentioned address before last date. More details regarding AIIMS Jodhpur recruitment 2014- 462 Group-C posts details is mentioned below. Aspirants who possess Matriculation, 10+2, Diploma, ITI in concerned discipline, Graduation, 8th Standard are eligible to apply for AIIMS Jodhpur vacancies. Individual job qualification will be provided in below mentioned link. Age limit: Applicants whose age above 18 years and below 30 years are eligible to apply for AIIMS Jodhpur requirement. Age relaxations for other categories is applicable as per the govt rules and regulations. Interested and eligible job seekers who wishes to apply shall pay the below specified fee through DD in favour of Recruitment Staff, AIIMS, Jodhpur Payable at Jodhpur. PWD candidates need not pay the fee. Interested and eligible candidates who meet all the requirements and who wishes to apply shall download the application format from official website i.e www.aiimsjodhpur.edu.in site duly fill the application in all respects and send the application along with required enclosures to the below mentioned address before last date.